What's going to work best for you and your organization? Researching and evaluating can take lots of time and effort. 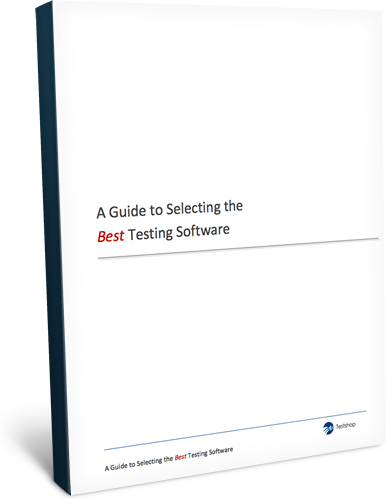 Whether you’re just starting to look, or have been looking for a while, you’ve probably discovered that choosing a testing software product can be a confusing and time-consuming process. This is especially true for mid- to large-size organizations where there are lots of variables to consider and implementation involves IT, HR, management and a cast of characters. Fill out the form and download your copy today!